How much sleep do writers need? How does your writing life intersect with your sleeping one? In fact, how much sleep do writers need, anyway? How often do you hear that it’s just about mandatory to start writing earlier in the day? About 30 seconds of research showed me that a great many people offer this advice quite blithely. While I believe that it’s generally better for most people to write in the morning (for these reasons) I’ve studiously avoided telling people that they need to get up at 5 am. Or even 6. In fact, I’m pretty vehement about protecting my sleep. This stems from a lifelong series of sleep problems, starting when I was doing my post-secondary degree. In those days, I worked at my family’s weekly newspaper business one night a week. I mean that bit about “night” literally — I went to work at 7 pm, right after dinner, and worked until breakfast at 7 am. I did that every week for nine years. I was young and felt indomitable. When I left the family business, I started working at a then-large metropolitan daily (like all newspapers, now a shadow of its former self). There, I had to start at 6 am. This nearly killed me. A lifelong night owl, I would have been happier staying up all night. But I couldn’t very well do that five days a week, so, I dragged myself out of bed at 5:30 am every weekday. It was excruciating. But by the time I was in my mid-40s, my world fell apart. I started waking up half a dozen times a night and had great difficulty falling back asleep. I always woke for the day at 5 am, if not earlier. Alarmed, I had myself referred to a sleep lab and met with a very kind doctor who told me the issue was probably hormonal. He also said my crazy sleep patterns of earlier years had likely contributed to the problem and gave me a lecture about sleep hygiene. Yes, it’s a real thing! I spent 10 happy years as a well-adjusted early morning person — it’s much easier to thrive in this world as a morning lark — but now my life is starting to change again. I’m having a tough time falling asleep at 11 pm — despite feeling exhausted. And I’m finding it difficult to arise at 6 am, even in summer when it’s nice and bright outside. Could my night-owl self be re-emerging after a long time of dormancy? Perhaps. But whatever is happening, I know better than to shortchange my sleep. New research shows that sleep is far more valuable than we’d previously understood. It not only helps repair heart and blood vessels, it also reduces the risk of kidney disease, high blood pressure, diabetes and obesity. But here’s the really interesting part. Sleep is also essential for creativity —exactly the kind of behaviour you want to exhibit when you’re writing. I don’t know how long it will take me to sort out my current sleep conundrum, but I do know I don’t want to be part of the dreaded US statistic: 1 in 3 adults don’t get enough sleep. If you’re part of that subset, don’t even think about getting up 15 minutes earlier to write. Most adults — including writers — need 7 to 9 hours per night. 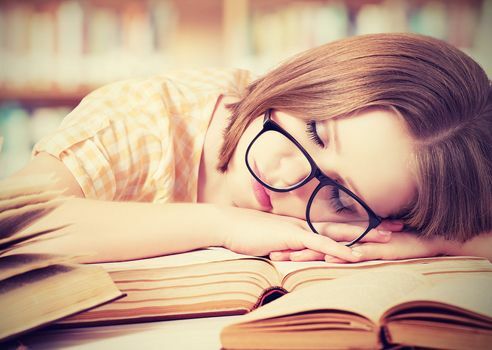 Getting more sleep may be the best favour you can do for your writing. This is an updated version of a post that first appeared on my website on July 22/14. How do you manage your sleep? We can all help each other so please share your thoughts with my readers and me. We can all learn from each other so, please, share your thoughts with my readers and me in the “comments” section below. Anyone who comments on today’s post (or any others) by Aug. 31/18 will be put in a draw for a copy of the non-fiction book Selling to Big Companies by Jill Konrath. Please, scroll down to the comments, directly underneath the “related posts” links, below. Note that you don’t have to join the commenting software to post. See here to learn how to post as a guest.